Finding the perfect nail salon can seem at times an insurmountable task—a quest for the perfect marriage between service, sociability, and style. Whether you keep it simple, or like your nails blinged to the max, the nail salons of Pennsylvania are simply fabulous. 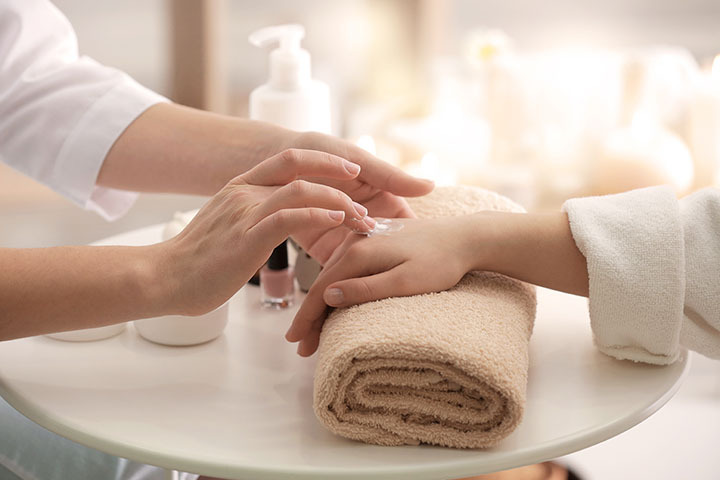 From mani pedis to waxing and even spa services, the Keystone State is ready to get you looking and feeling on point. Nobody’s perfect, but it doesn’t mean your nails can’t be! From quality waxing to beautiful nail designs, Vy sets the standard for nail salons in the Keystone State. Attention to detail and reasonable prices make this Temple location a winner, and a friendly staff keeps us coming back. Whether you’re finding some much needed alone time, or spending time with your favorite girls, Crystal Nails is a local favorite with lots to offer. This Mountain Top location does some of the prettiest nails around, and features polite, personable technicians. From nails to massages to waxing to facials, the Perfect Ten Nail Salon does it all, and does so exceptionally well! Feel like family from your very first visit at this Pittsburgh favorite. If you’re living that fast paced Philadelphia life where image means everything, trust your mani/pedi to the pros at Coco Blue Spruce. Impeccable customer service, and world class technicians make Coco Blue Spruce one of the best in the business. If you’re looking to have fabulous nails Montgomery County, Pretty Nail Salon is a very good bet. Family owned and operated, this Bridgeport salon delivers some of the best designs in the state, and has developed a deeply devoted customer base. If you’re looking to have your nails done with cutting edge SNS dipping gel powder, Style Nail Spa is a fantastic choice. This Canonsburg location also offers truly incredible nail designs, perfect for a big event, or just injecting a little fun into your daily routine. An Erie favorite, Star Nails delivers a consistent quality and friendly service. From gels to spa pedicures, Star Nails makes for a relaxing, rejuvenating experience. With a huge color selection and top notch nail art, Dojo Nails is an easy add to our list. Visit for very pretty, long lasting work. With an eye towards customer service, cleanliness, and detail, Lacquer Lounge is a fabulous option in Philly. Simply can’t break away from a busy schedule? Lacquer Lounge offers a “power hour” mani/pedi option, which will have you feeling fresh and back at the grind in no time at all. Annie’s Nails is the type of place generations of women can have their nails done, have a good chat, and leave feeling great about themselves. Whether you’re after a quick color change, or an all-out, UV gel manicure, this Peckville favorite has the services and staff to get you where you want to be.